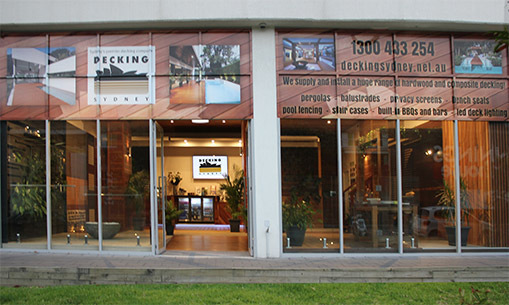 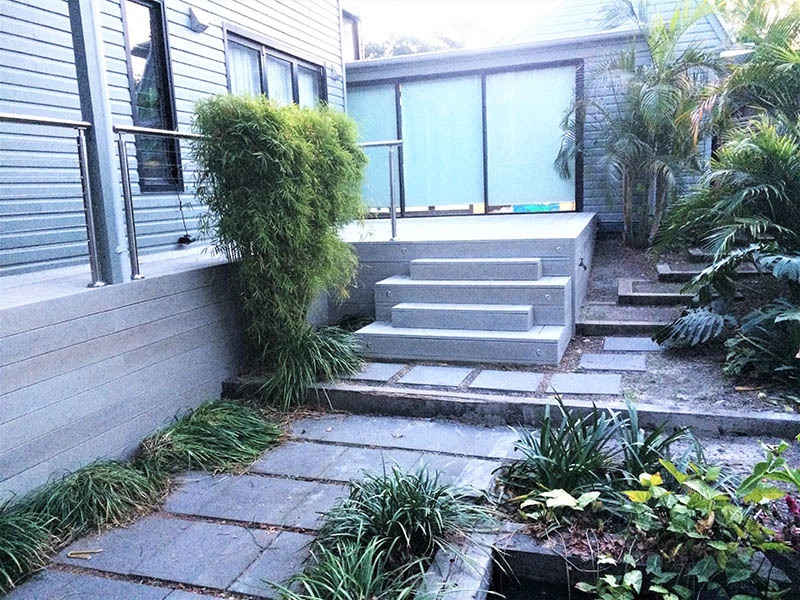 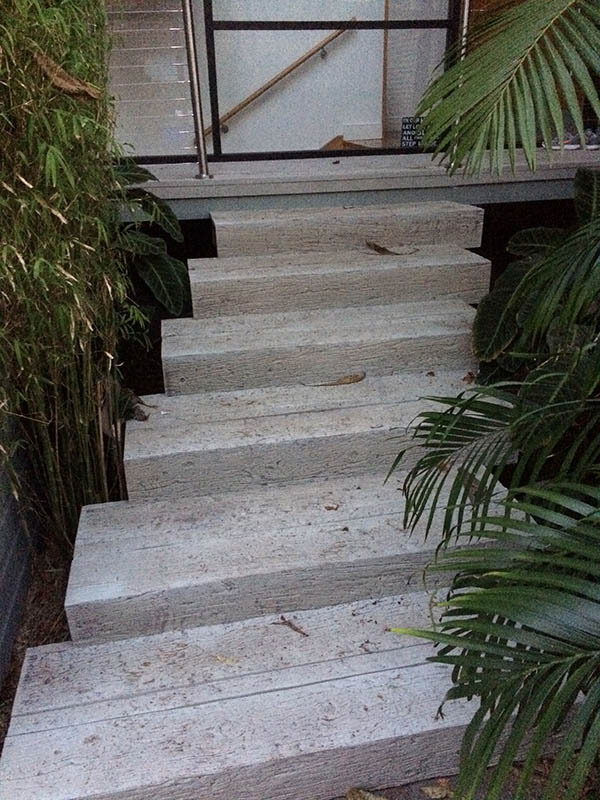 The only show room in New South Wales selling discounted millboard decking! 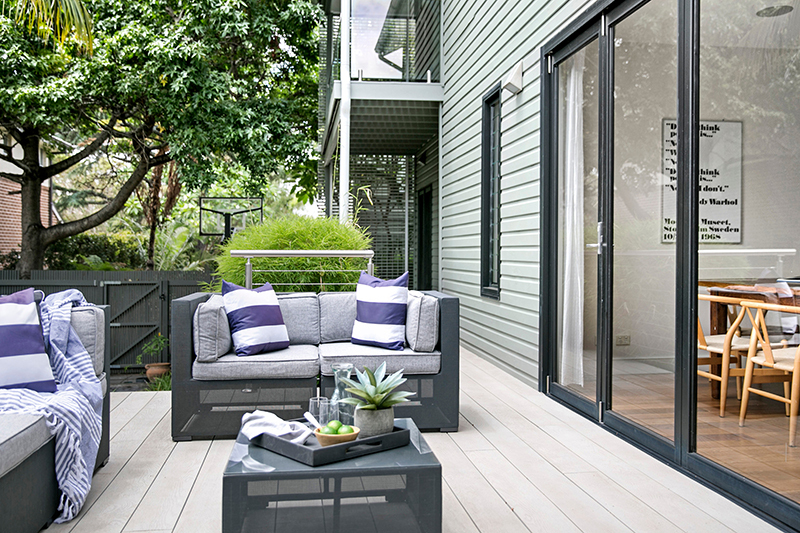 Find out why Millboard is the next generation in composite decking. 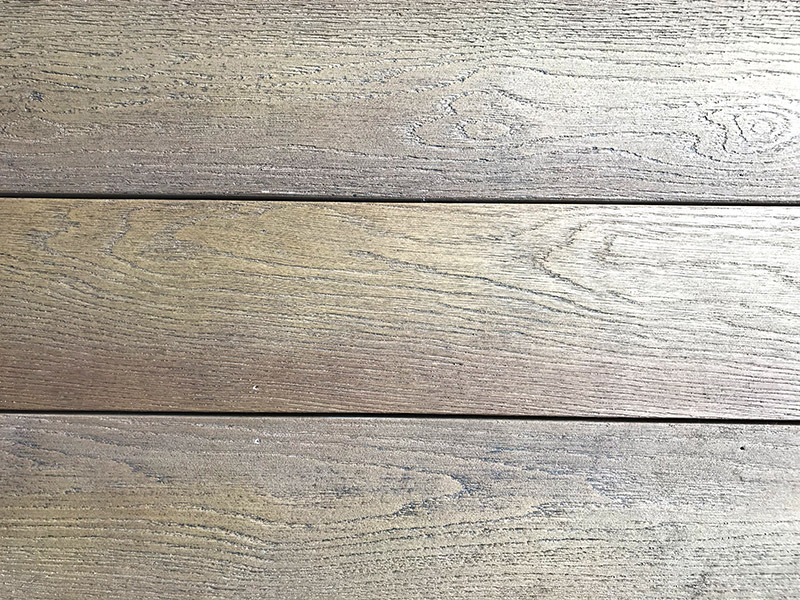 Millboard decking is hand-made in the United Kingdom & styled from real oak timbers, creating an incredible realistic look that captures the natural beauty of wood. 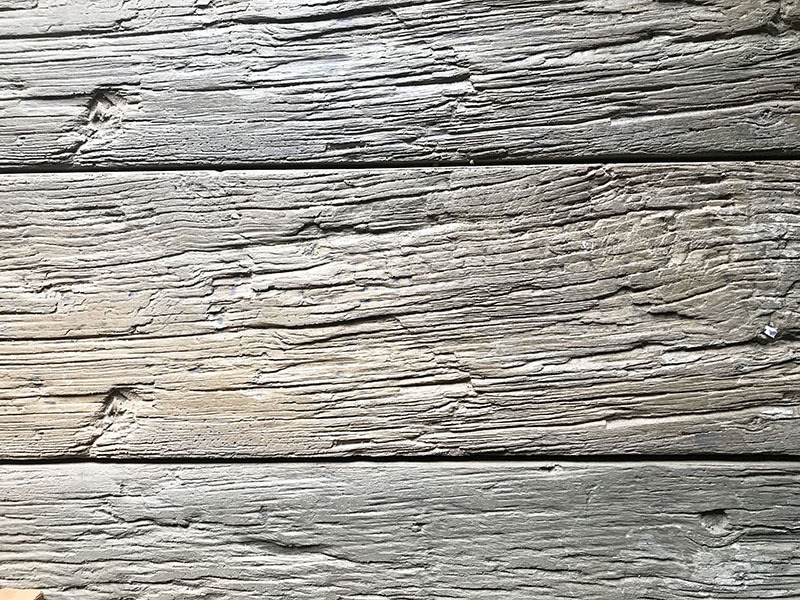 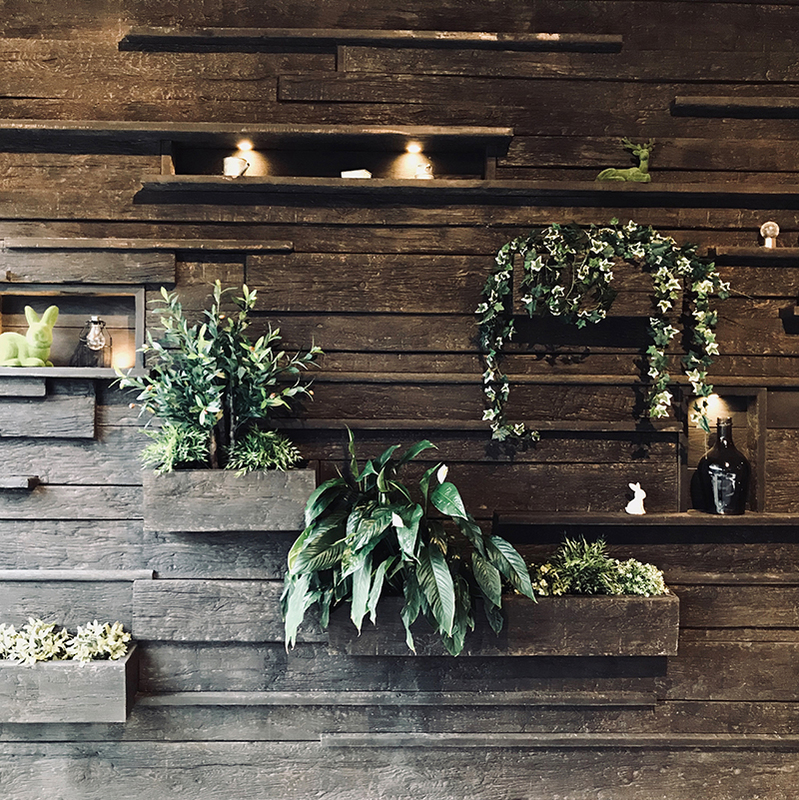 But unlike traditional timber – which needs regular on-going maintenance like oiling & sanding to try and stave off rotting, mould, stains, warping, cupping, fading, splinters & a host of other undesirable effects – Millboard is totally different! 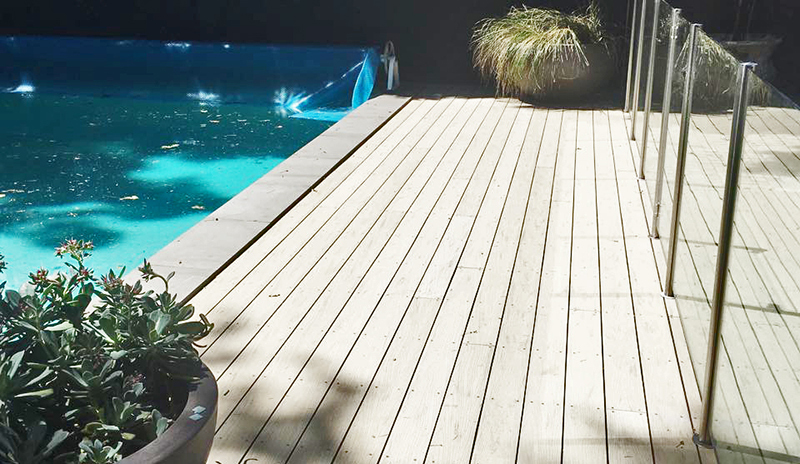 This is because unlike traditional timber, or even conventional composite decking WPC (which typically contain half timber fibre / flours / rice husks & half plastic) – Millboard contains no timber, nor any plastic. 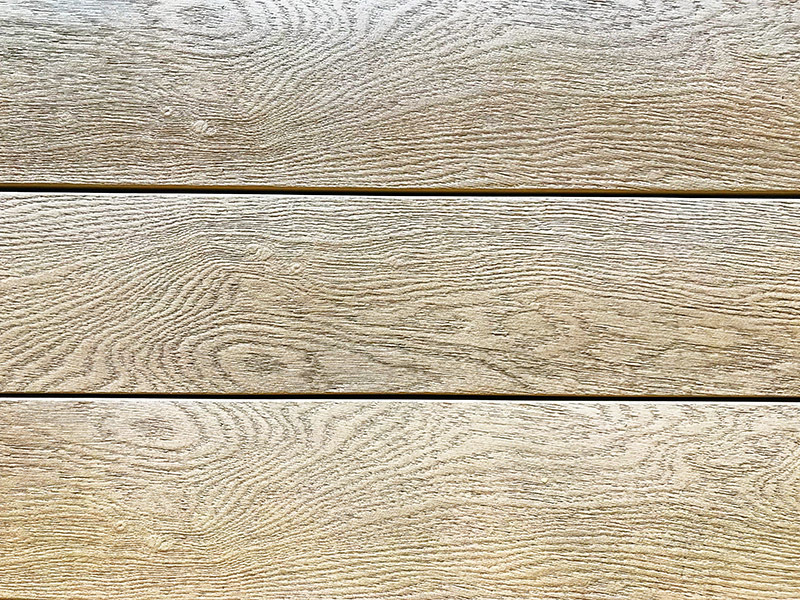 Millboard composite decking is made from a revolutionary Polyurethane resin, reinforced with mineral fibres plus a unique Lastane® coating. 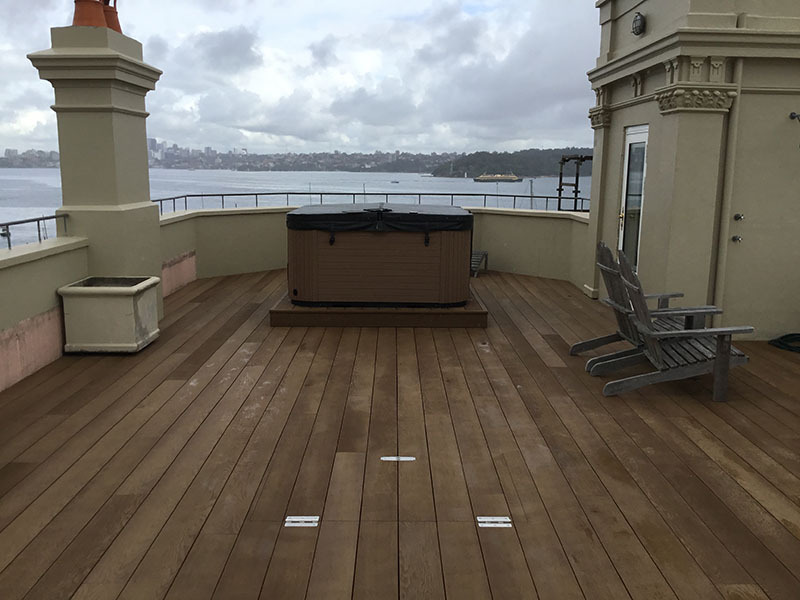 So what is Polyurethane then? 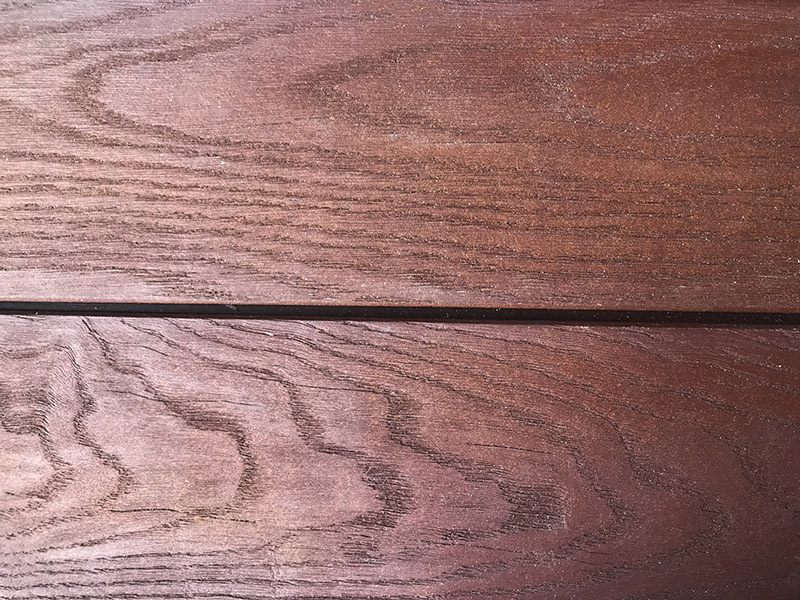 It’s a type of elastomer, which is a polymer about half way between a plastic and a rubber. It maintains the rigidity & longevity of plastic, with the suppleness of rubber. 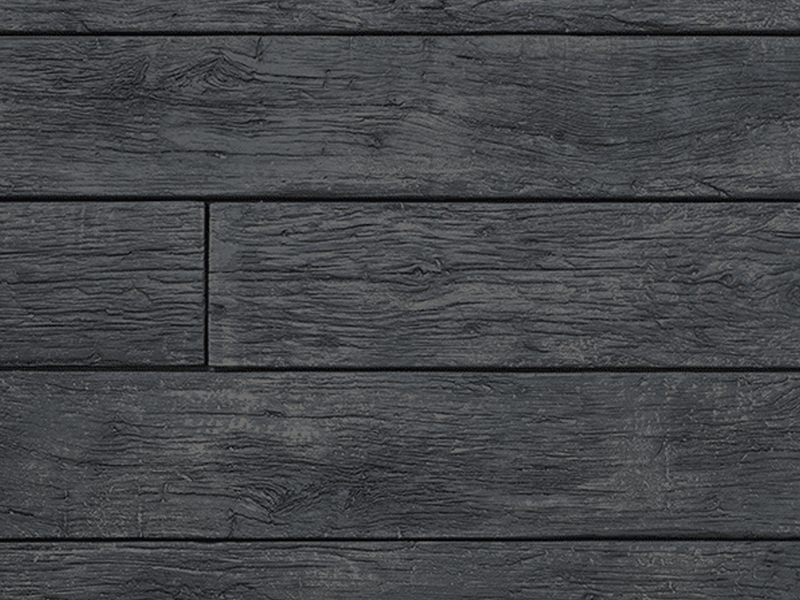 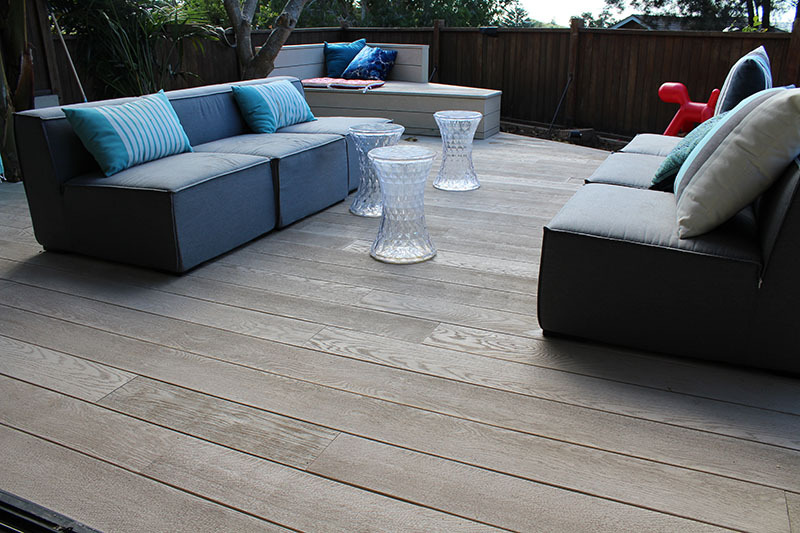 This means Millboard feels much more natural under foot, while still offering incredible durability. 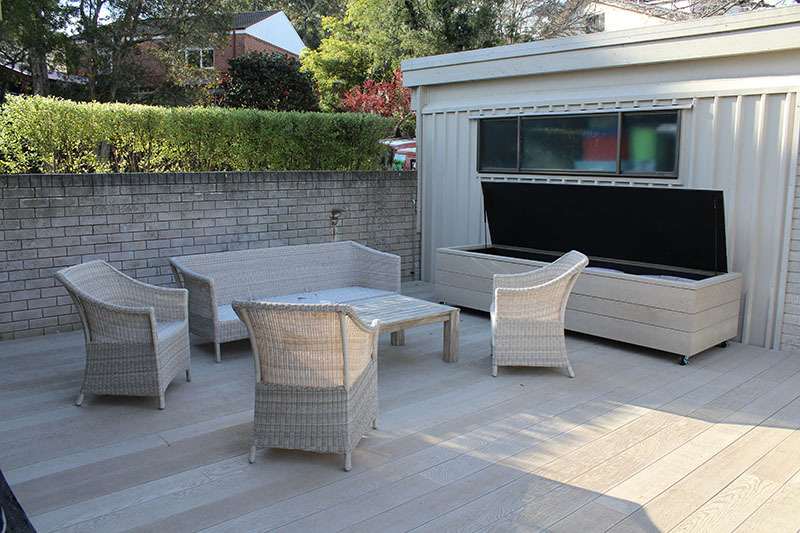 Millboard decking contains no timber, or plastic! 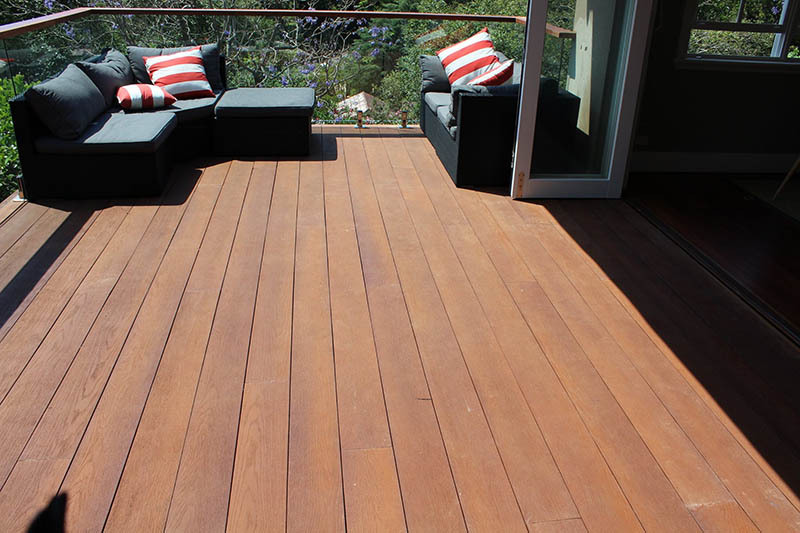 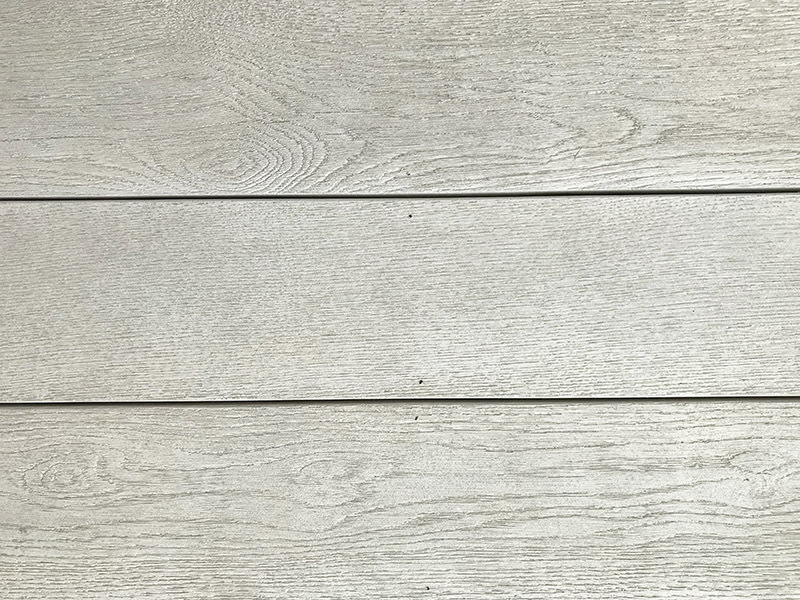 It’s totally non-porous – meaning it doesn’t absorb moisture, doesn’t shrink or expand like traditional decking or composites, & is highly stain resistant, spills won’t penetrate the surface! 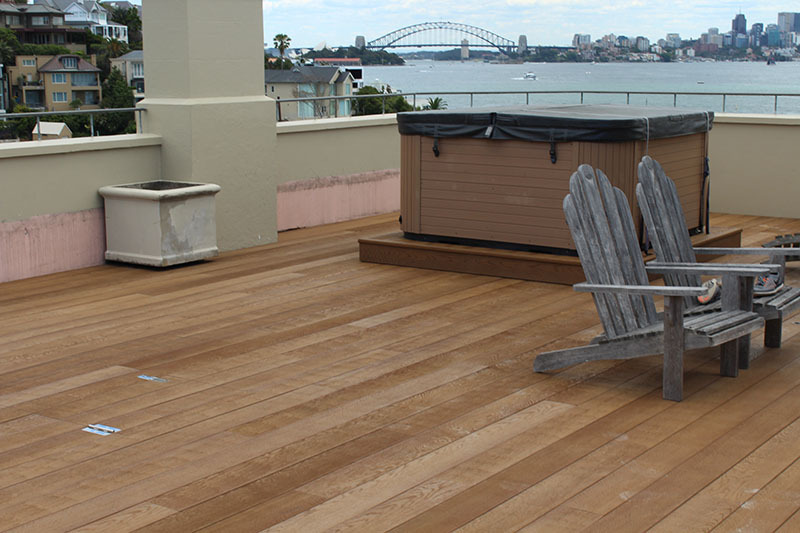 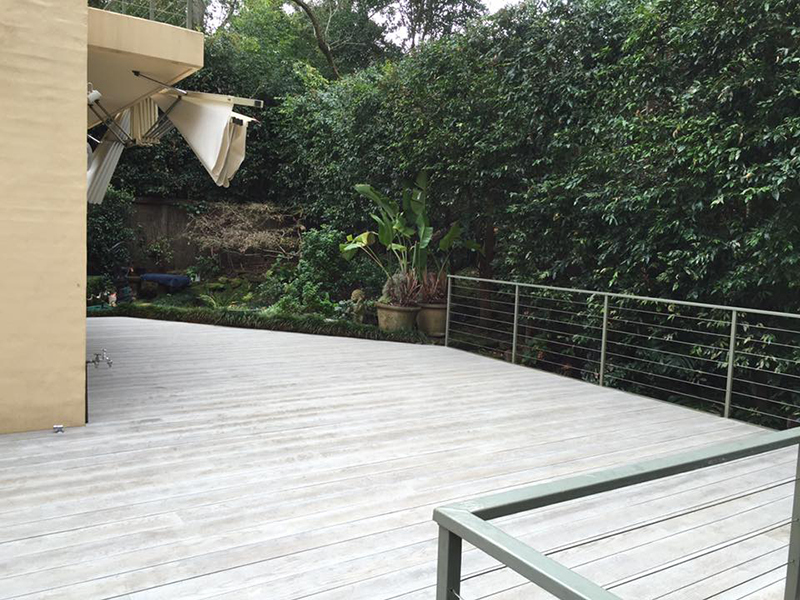 Because Millboard decks contain no timber, there are no sugars to host mould or algae! 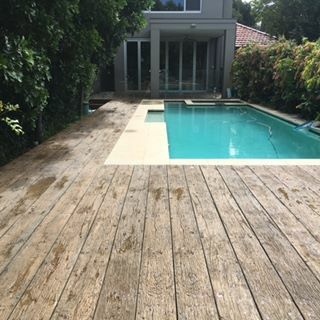 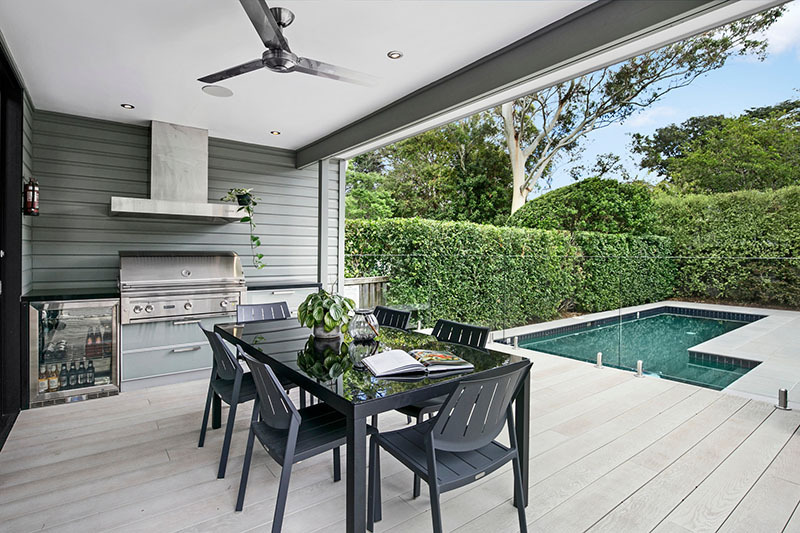 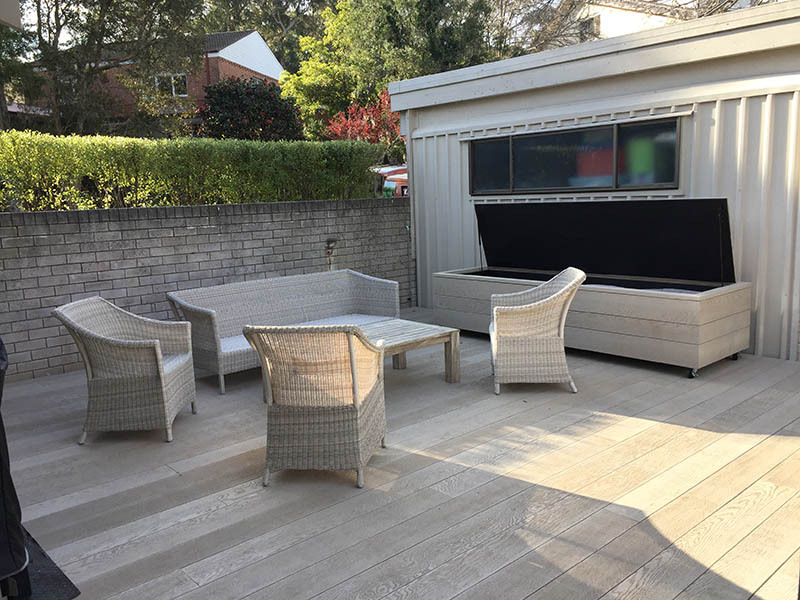 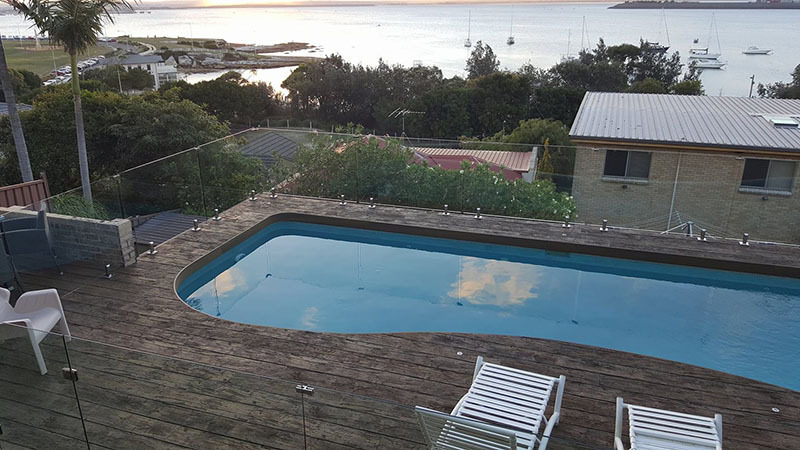 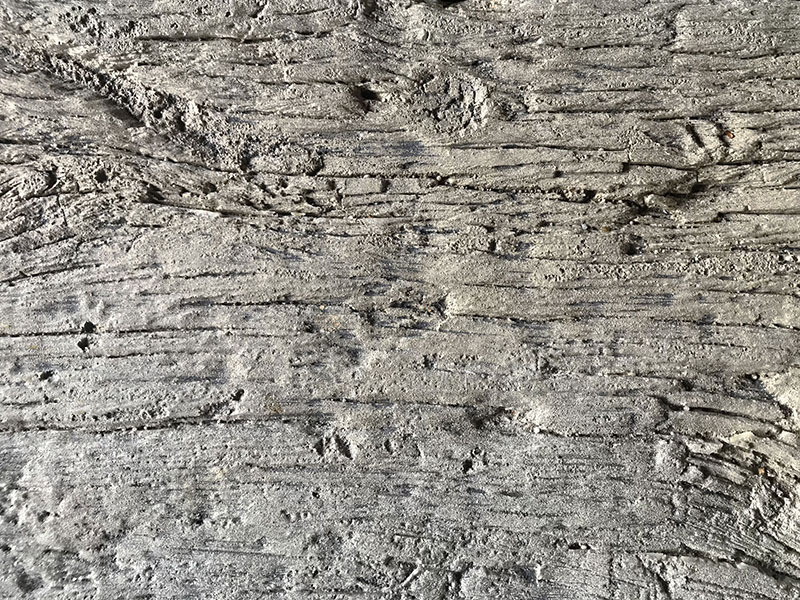 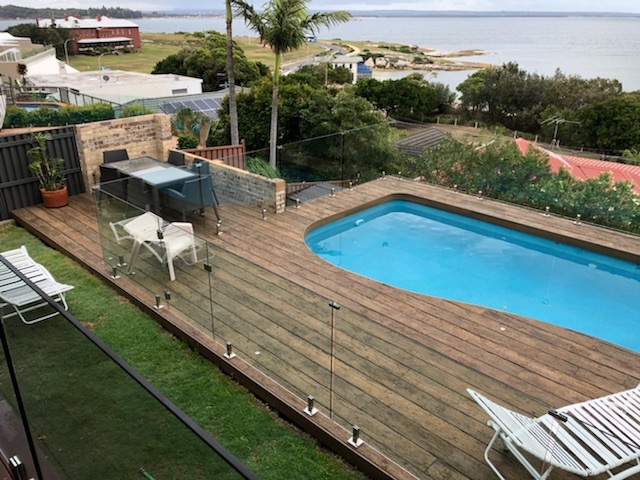 Millboard is perfect for pools, beaches or wet areas where regular timber (or composites which typically contain timber or flour) will rot & decay over time. 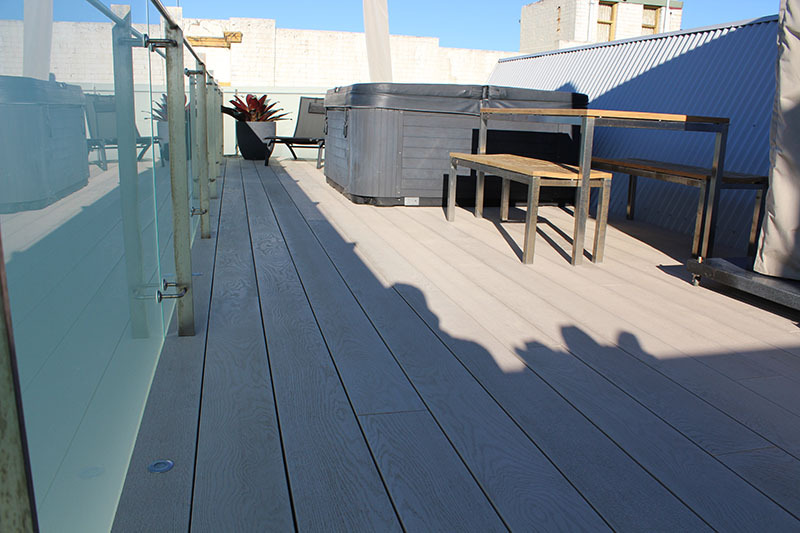 Millboard composite decking’s unique Lastane surface is highly anti-slip in the wet – R11 Rated. 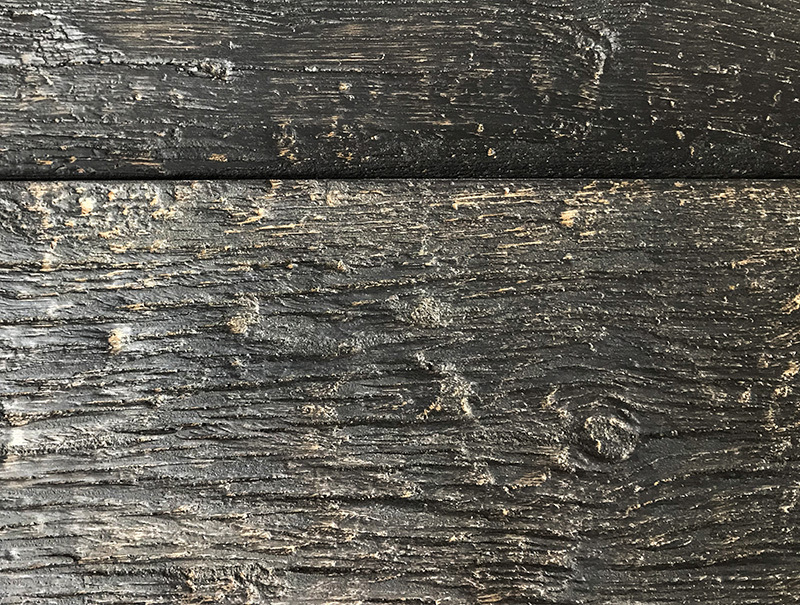 Safe for young feet – You will never get any splinters or grain lift – ever! Plus the two-tone colour finish offers U.V. 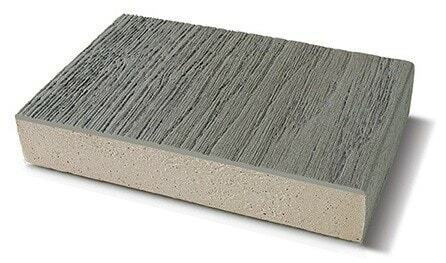 stability & is highly resistant to fading. 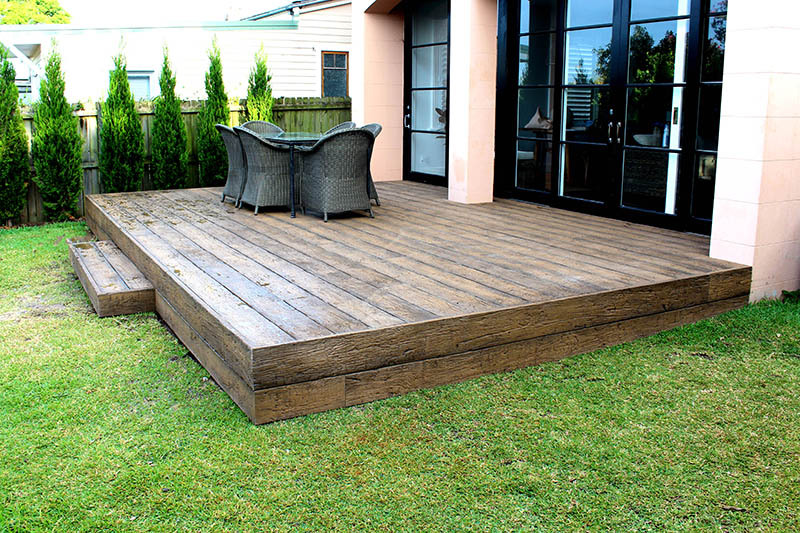 Not a single tree is chopped down to produce Millboard. 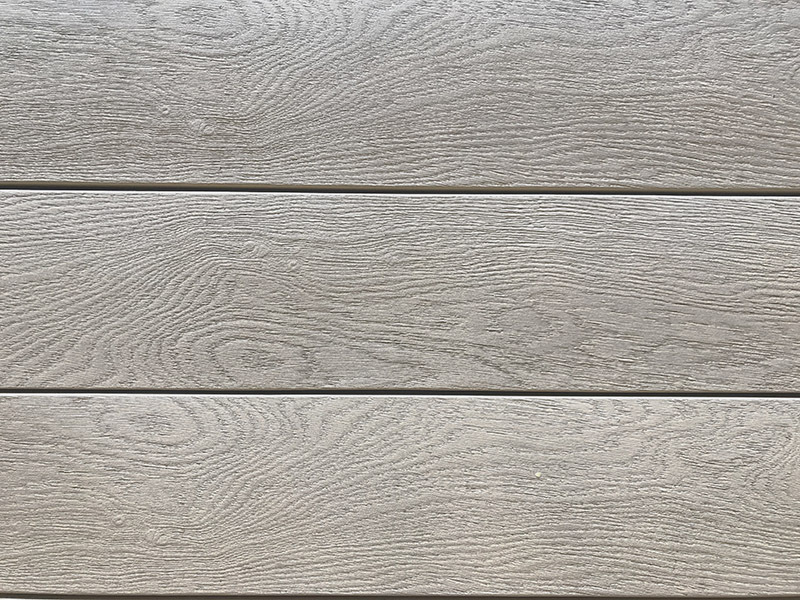 Millboard decking is designed & hand crafted in the U.K. from a low energy classed process, as such Millboard is the sustainable choice in exterior decking. 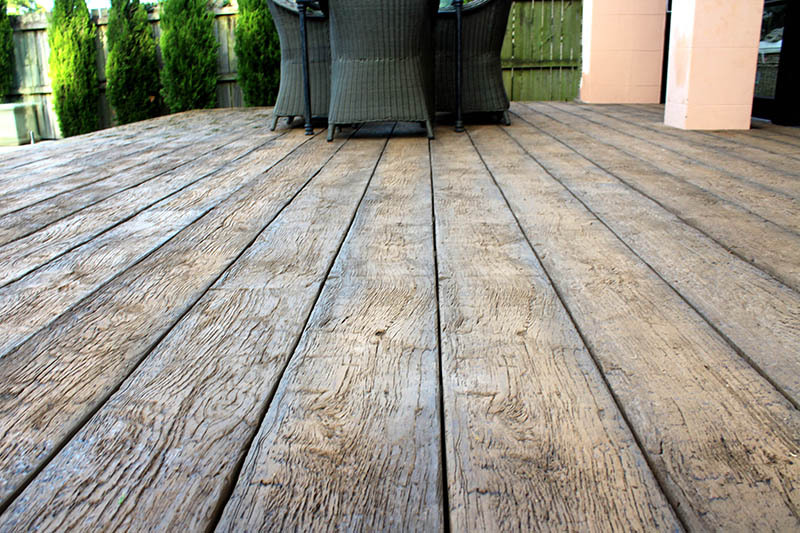 No pre-drilling, no counter-sinking, no fiddly & expensive clipping system. 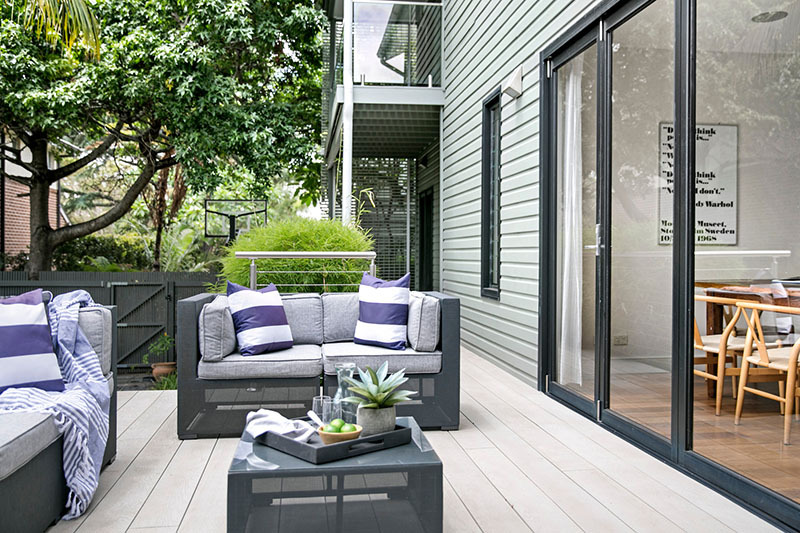 Using Millboard’s stainless steel Durafix screws the unique Lastane material self-heals back over the fixing to leave a virtually indistinguishable mark – it couldn’t be simpler! 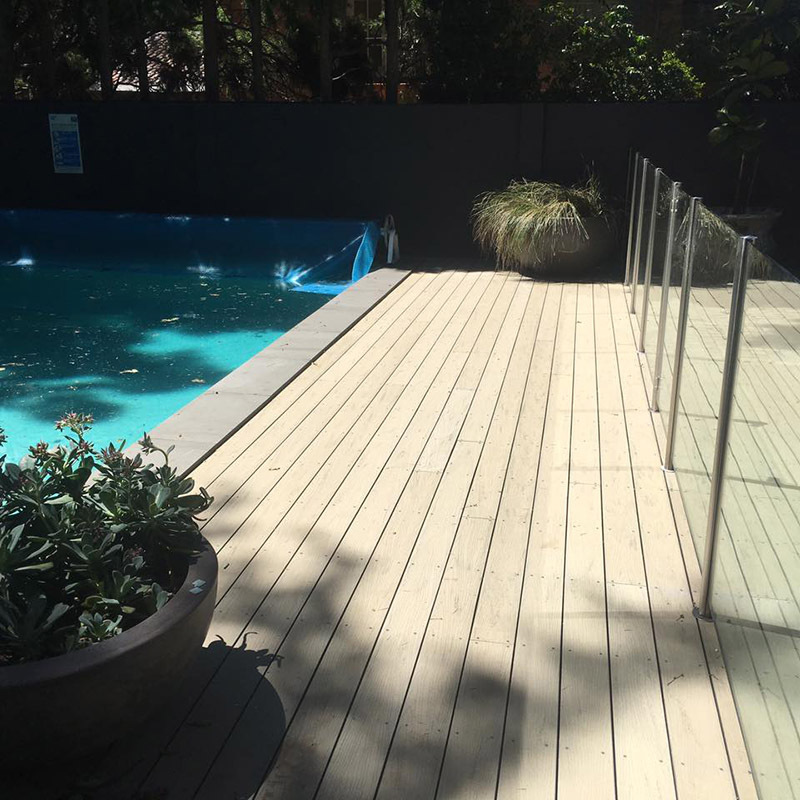 The tough Lastane layer is highly scratch resistant and it’s inherent anti-abrasive qualities make a Millboard deck perfect for commercial or public applications where a demanding environment requires a resilient product.